Mileage tracker has now become a regular thing for any vehicle that is up for rent. Owners of the vehicles rent their cars and let the drivers do their job and at the end of the day, they check the readings on the odometer and keep track of the mileage and the fuel consumed to prevent any exploitation of the vehicle from the driver. It helps them to calculate the overall expenditure on a monthly basis and establish the profit from the business. They can claim money from the insurance company by showing the mileage log in case of servicing or any damage. 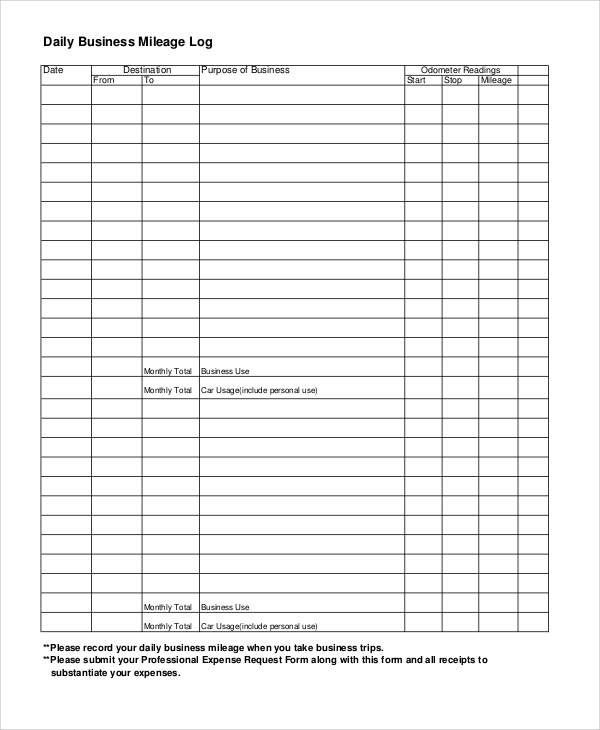 The vehicle used for business purposes need a mileage log to keep track of the fuel and miles traveled to claim the money from the company. 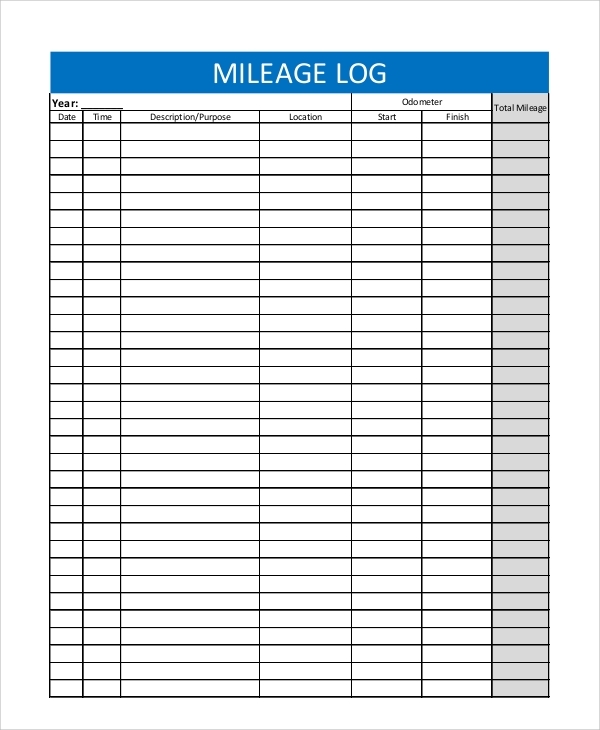 This is a complete tabular format for tracking the mileage of a vehicle in any trip. It contains fields like trip dates, odometer readings, fuel purchased, origin and destination with the route of travel and other details. It helps to calculate the monthly mileage reading and send the vehicle into servicing, and it is also used to keep a check on exploitation by drivers in the absence of the owner. This is an excel mileage log for vehicles. It can help to keep track of the usage of fuel or gas that the vehicle is using. 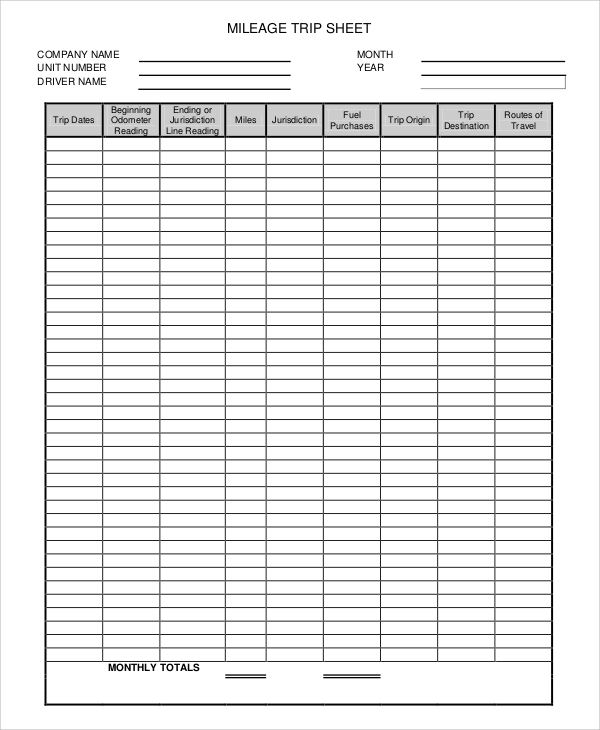 It contains a tabular form to record the date, time, description, purpose, source, destination and the odometer reading to calculate the mileage. 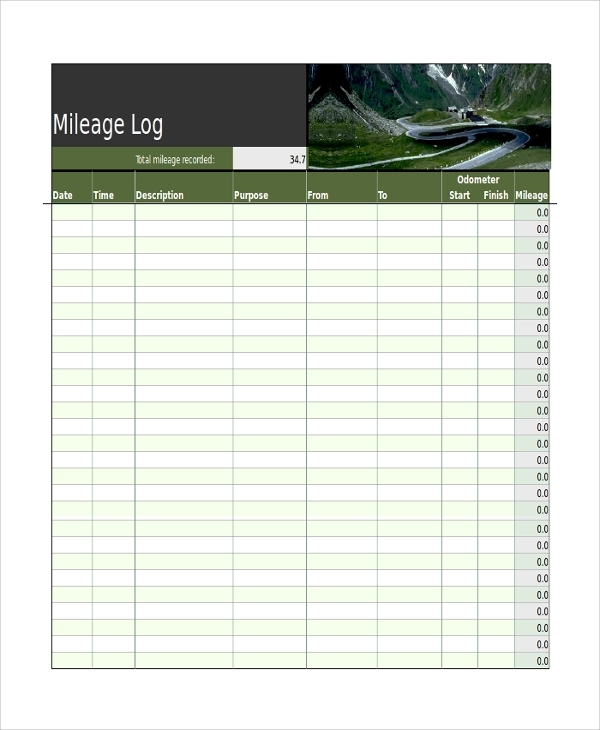 This is a complete mileage tracker log for cars especially the rented cars so as to prevent over-exploitation of the car and mileage by bad drivers. It keeps track of the date, time, purpose, location, odometer reading so that the drivers cannot cheat the owners by driving extra miles. 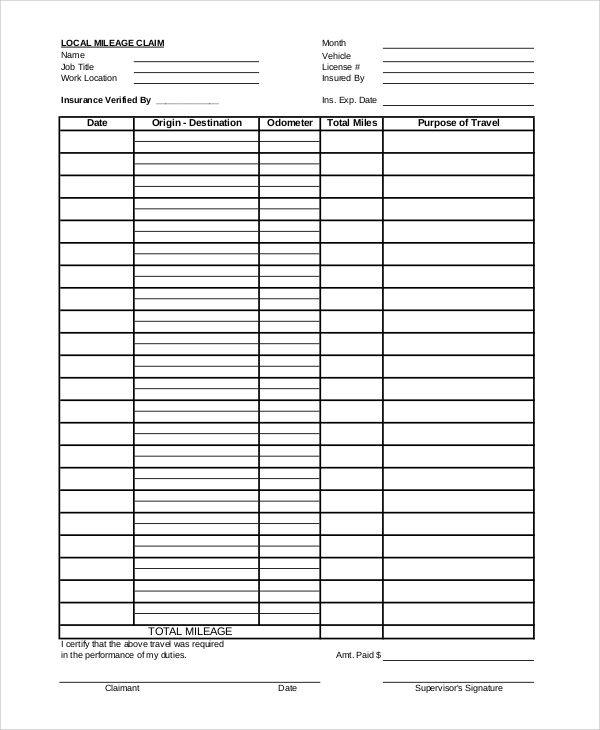 A mileage tracker form is mandatory to make a claim from the insurance companies in case of damages or servicing. Every trip must be logged in to the form of origin, destination, odometer reading and total miles with the purpose of travel. 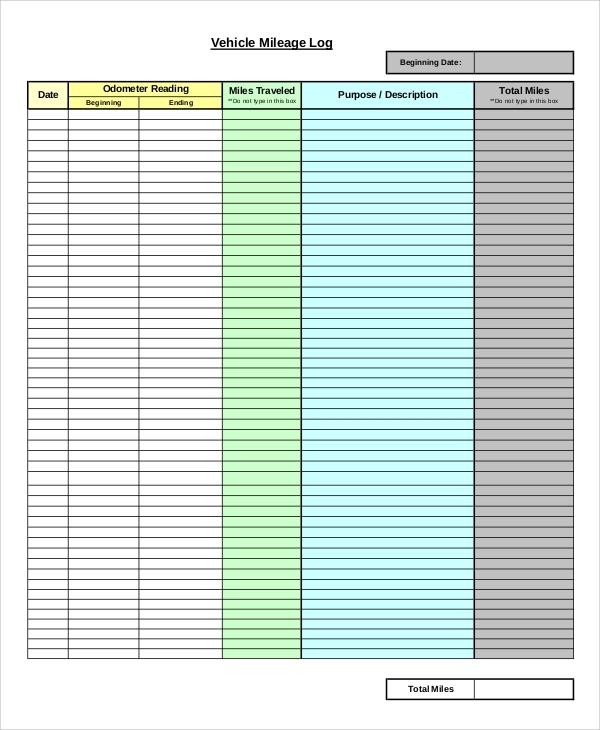 This is a mileage tracker for the runners who run for the wellness of their health or in the marathon for a purpose. It records the data of the students or the people running with the number of miles ran and the period for that. 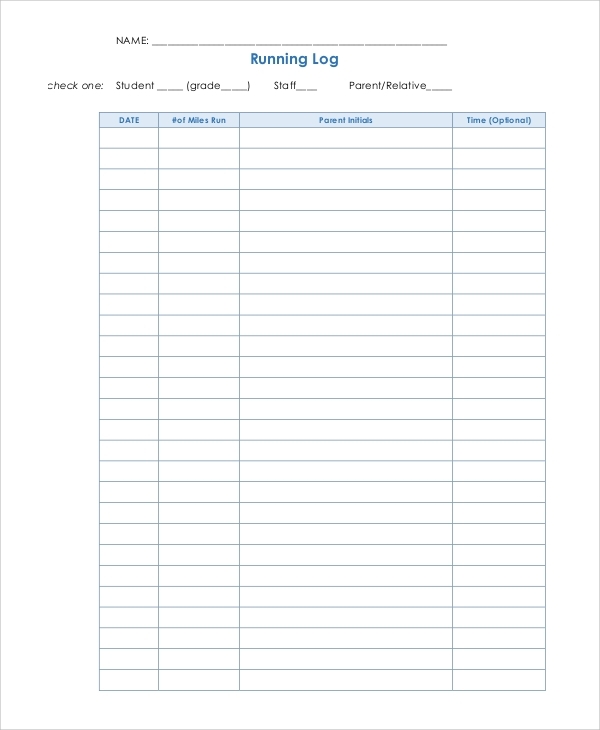 It can be done for individuals to keep track of his or her running and calculate and compare with others. It is useful to understand the performance of the car and the need of servicing and change of different parts. It helps the owners of the vehicles who are into rental service and business of vehicle to keep a monthly mileage tracker to understand the profits and expenditures. Moreover, customers are charged according to the mileage during big trips. The above-listed mileage trackers are applicable for any vehicle and even for individual runners. Runners or coaches can keep track of the miles they cover every day or regularly and compare them with others. Such mileage trackers are also used in the marathon where the mileage traveled by the celebrities define the money collected for charity.